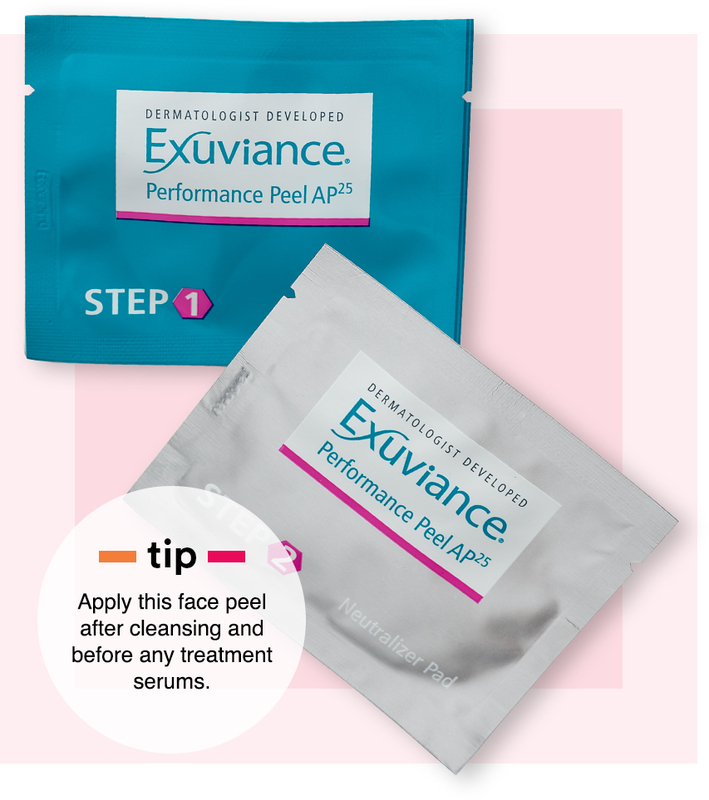 Face peels safely brighten your complexion—plus treat acne, improve texture, diminish fine lines and quench dry skin. 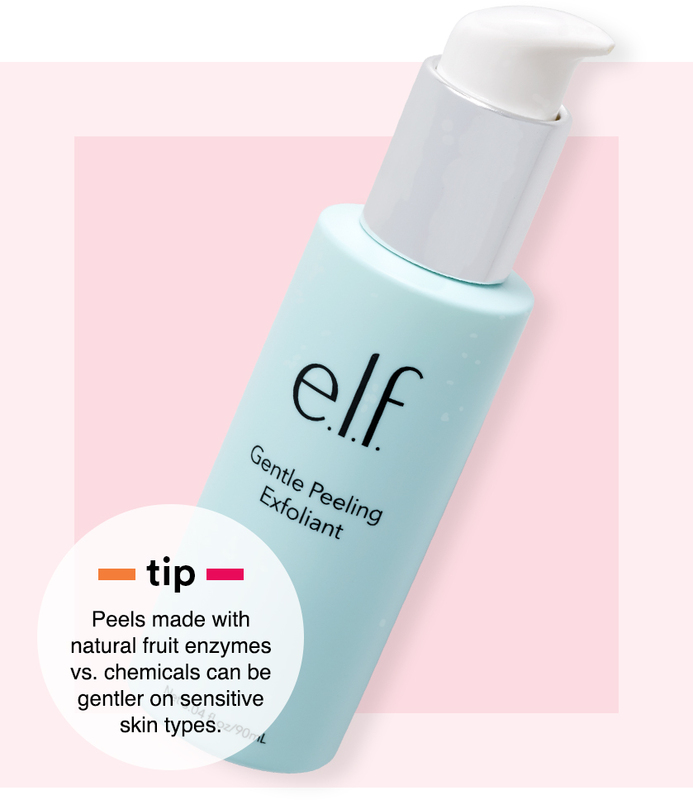 Face peels promote cell turnover by exfoliating the top layer of skin—and this one is packed with alpha-hydroxy to refine pores, target fine lines and reveal radiance. Apply up to twice a week on face, backs of hands, neck, chest and body. Want to turn back the clock on your complexion? This peel is for you. 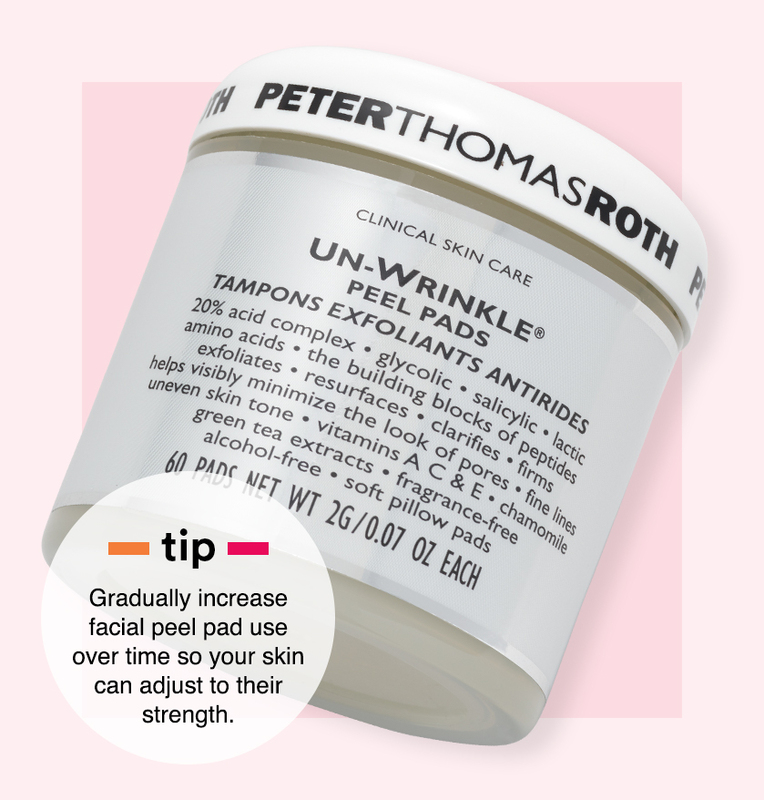 Maximum-strength exfoliant brightens, resurfaces and renews to reveal smoother, radiant skin. 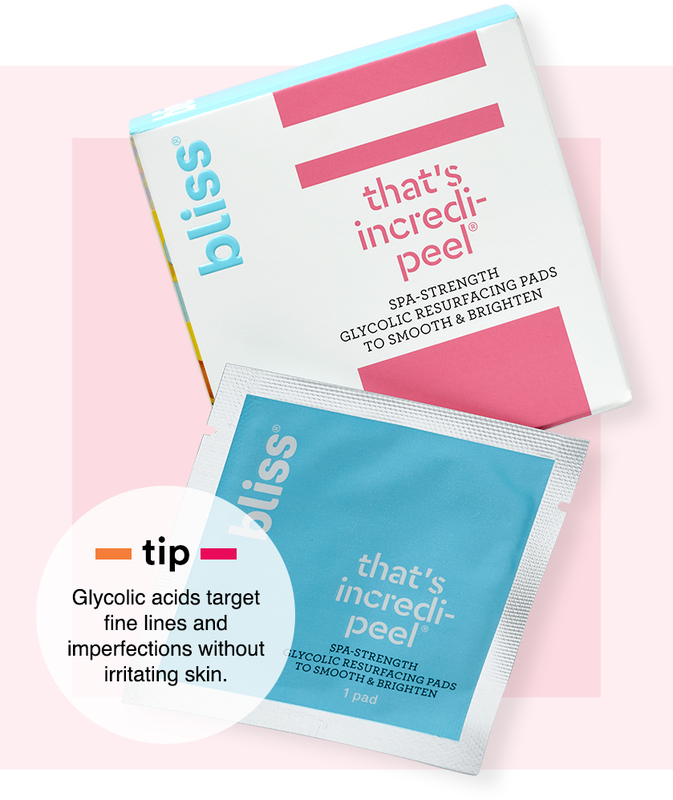 A serious peel for those seeking serious results. Kickstart your regimen by using 1 tube every night for 3 nights; then apply once a week. Leave on for 3 to 7 minutes. 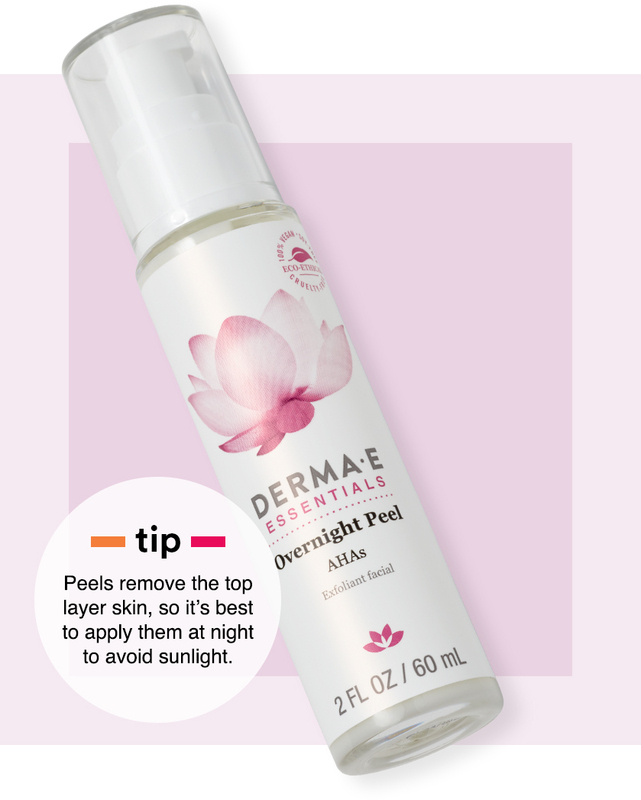 Mature skin types will love the way this peel kickstarts cell renewal. These pads use natural ingredients to brighten, hydrate and target spots and breakouts. Vitamins C and E infuse skin with anti-oxidants. Swipe over clean skin in the morning or night; leave on for 1 to 3 minutes and rinse. Use on face and body, too. Start by applying 1-2 times a week on dry skin, 3 times a week normal skin and daily on oily skin. Reveals fresh, newer skin overnight with a brightening blend of glycolic sugar cane and 5% alpha hydroxy acids for safe, gentle removal of dead surface cells. Work an even layer over face and neck before going to bed. Use in place of your moisturizer and always rinse in the morning. Packed with tangerine, papaya and licorice extracts, this deliciously delicate cleanser gently peels away dead skin to reveal a natural glow. Use 2-3 times per week. Apply a small amount with water and rinse. Follow with a moisturizer. Not ready for a leave-on peel? Try this gentle exfoliant, which doubles as a cleanser. Delivers a daily dose of brightening power in a convenient pad. Balanced with the right amount of lactic and glycolic acids for fast results. Wipe across face, neck and under your chin after cleansing; use once or twice daily. 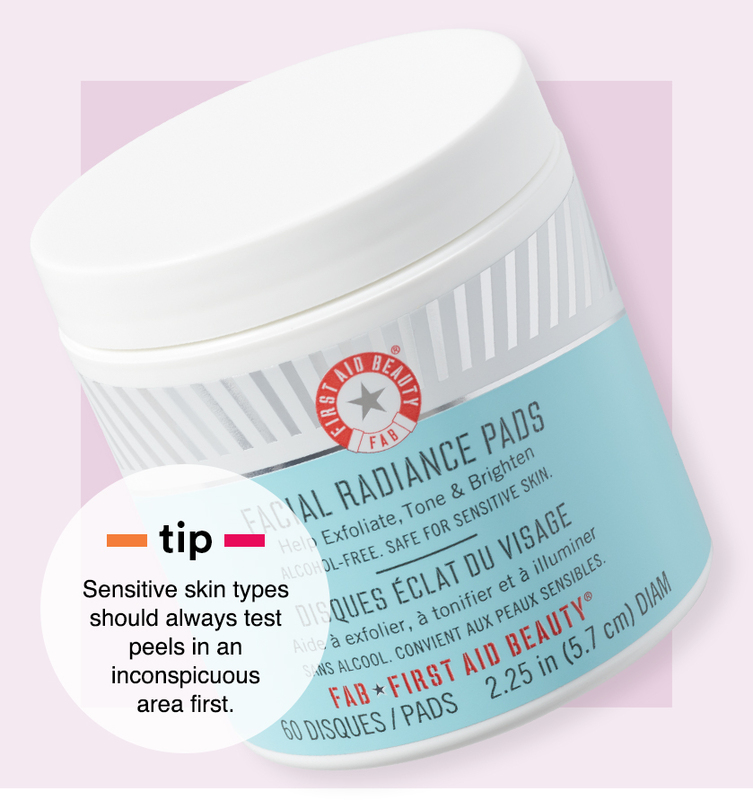 If you want brightening power at your fingertips, these pads work great on the go—safe for sensitive skin, too. Get a spa-quality face peel while you sleep. Each pad is packed with glycolic acid for convenient, one-step brightening action. Apply at night but don’t rinse—then wake up to a complexion that’s smooth and evenly toned. Want to perfect your texture? These pads do the trick. Safe for all skin types. A powerful chemical exfoliation customized for your skin type. 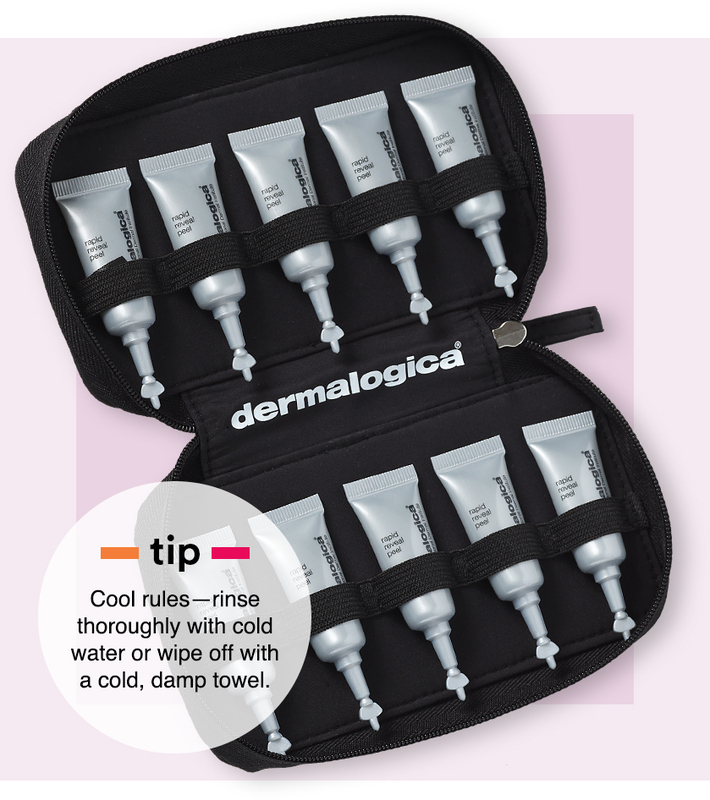 The art of beauty and science meet with this treatment fueled by Dermalogica ProPower™ Technology that reveals bright, refined skin. Reduces blemishes, too. It's safe for most skin types and conditions. Ask one of our Skin Care Experts for a complimentary consultation. 30 minutes, of course—book it every 2-4 weeks to achieve radiant results.